Credibility, trust, and reputation remain a primary concern for used car and auto dealerships. 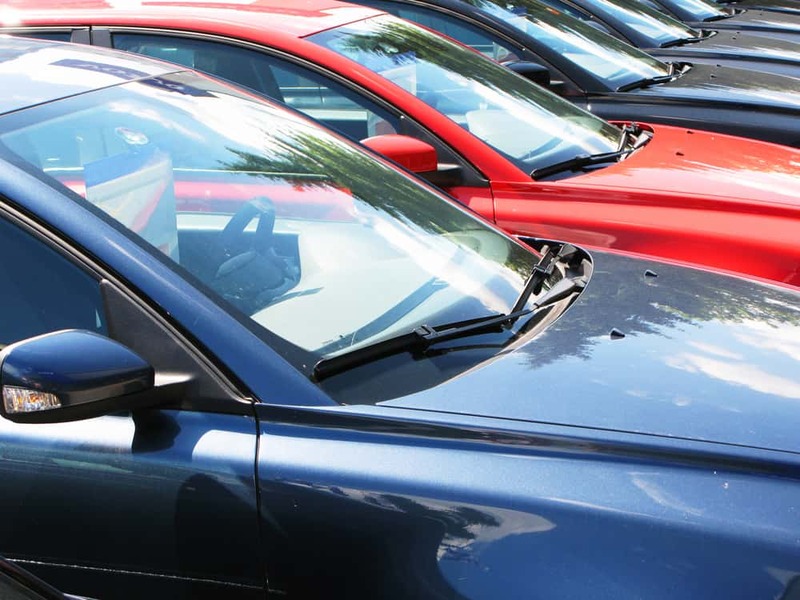 Recent economic upheavals have resulted in an increased likelihood for consumers to purchase a used late-model car versus a new car. Sales of CPO (certified pre-owned vehicles) continue on the rise, with many experiencing shortages of lower mile trade-ins as a result of many consumers deciding to keep their cars for a longer period of time. If all or part of your auto dealership is dependent on the sales of used vehicles, CPOs, and non-CPOs, then you must make intentional decisions to manage and enhance your online and offline business reputation. Next to a home, the purchase of a vehicle is the 2nd largest investment for most American families. Trust and a commitment to stand behind products and guarantees are deal breakers when it comes to the purchase of a used vehicle. Online reputation is the second most important marker aside from price when it comes to selecting a used-car dealership. If your goal is to take the lead on review websites and direct as much business as possible to your dealership by having a credible and strong online image, then we want to share with you a few tips that will help you to quickly establish your online reputation. The most common complaints voiced on online review sites such as Yelp, Cars.com, and Edmunds are rooted in failure to clearly communicate policies related to pricing, or failure to convey the car history with sufficient details to trigger a caveat emptor when applicable. Don’t tarnish your online business reputation for the sake of a quick sale. Make an effort to exercise due diligence in every vehicle you feature. Clarity in disclosure will reduce the number of customer complaints and, consequently, the number of negative reviews featured on the most popular review websites. Don’t become famous for selling lemons at extra-low prices. It is a poor long-term strategy, and it will negatively impact your growth for years to come. It is virtually impossible to correct a review-heavy negative online business profile. If you are committed to quality, your digital profiles will soon be a reflection of your commitment. We cannot stress enough the importance of clear messaging. A myriad of negative car dealership reviews are rooted in customers’ failure to fully understand the guarantees or non-guarantees associated with their car purchase. Make it a standard procedure to review all the terms and conditions of a certified pre-owned vehicle with your customers prior to closing the sale. Providing clarity about a non-guaranteed vehicle is even more important than a certified pre-owned customer understanding the terms of their purchase. If a customer is purchasing a vehicle as is, then make it doubly clear that all repairs after purchase will be his or her full responsibility. The number of negative reviews to used-car dealerships associated with this very issue is countless. Don’t let it happen to you. Over-promising and under-delivering may also negatively impact the online business reputation of your used-car auto dealership. Make sure your marketing communications inclusive of TV, radio, and print don’t set the stage for inflated expectations. Try to avoid low-priced baiting strategies that may bring customers through the door, only to walk out disappointed because the car you advertised is no longer in stock, or you failed to disclose specific mechanical or aesthetic shortcomings of the vehicle. We here at ReviewTrackers often see reviews for used-car dealerships where the reviewer did not even purchase a vehicle. The negative review mainly conveys their frustration about having felt deceived by a marketing strategy. Be on top of all your reviews all of the time. Timely online engagement with your reviewers lets the reader know that you care and you are customer-focused. Provide solution and sales-oriented responses that aim to bring the customer back, and close a sale when applicable. Be professional and detail-oriented in your responses and consistent in the messaging you convey across all your responses in all review websites. It is tempting to cut yourself some slack and only reply to some reviews. Don’t do it. Every customer deserves the courtesy of your time. If they took time to give you feedback, then accept it graciously, correct procedural problems where applicable, or use a positive review to recognize and incentivize your staff. Responding to every review benefits your online reputation in many ways. Well-drafted responses will improve your SEO, increase brand-recall for your dealership, and push your popularity score up. I plan to start a car selling business and these are some really great tips. I have never imagined how hard could that be, I truly believed it’s just go and sell some cars, that’s all, people need cars and that’s all. But, now, I realize it’s much more complex than I used to believe. Anyway, thanks for this great article.